.. someone had an idea to organise a better response to collecting swarms. 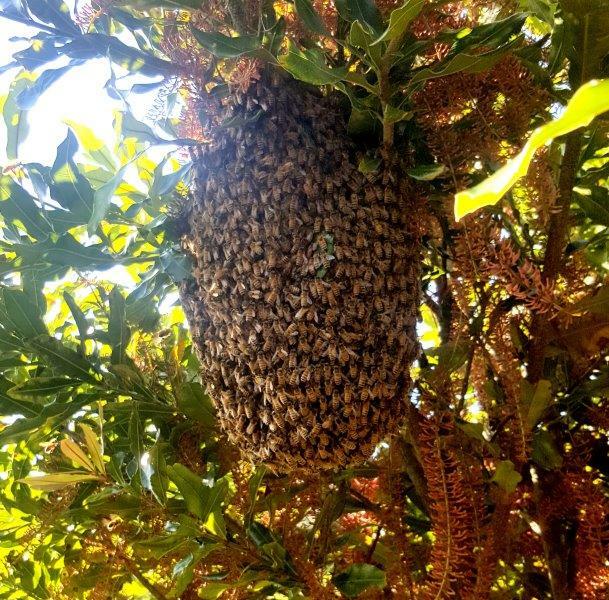 Bee Swarm is a collective of Bee Keepers, mainly based in Auckland, New Zealand. We advertise for members of the public to call us when they see a swarm. We have the fastest response time in Auckland, normally returning calls within minutes and responding onsite within half an hour, depending on the type of swarm and the time of day, 7 days a week. We remove swarms fast safely and for free. Swarms are rehoused into hives and treated for varroa mite. They are normally then kept under observation for a few weeks to ensure that the hive is healthy and the queen is laying. Swarms are donated to schools, new beekeepers, or sold to help pay for running this site and covering collection expenses. We are all experienced in the art of swarm collecting and are DECA qualified. Follow us on Facebook . Check us out on Google .